This is where you will find all the latest Club news. The latest news is that the Club have a brand new web site!! Please feel free to explore. You can now book online for selected events, please keep an eye out on the Next Event page. You can also renew (or sign up as a new member) your annual membership online - you can sign up with PayPal or if you do not have a PayPal account, all major credit and debit cards are also accepted. If you dont want to use the online membership form please download the a copy of the Membership Form and send to the address detailed in the form. If you join the Club from the 1st November 2018, your membership will run upto the 31st December 2019. Surrey County Council have a new system for reporting any bridleway & public rights of way issues - please click here to report any issues. We had the great pleasure of Molly being part of our club. She will be greatly missed but forever in our hearts. It is with much sadness that the club learned of the death of former chairman Nick Murphy this week following a tragic accident you may have seen reported in the press and social media. Our thoughts go out to his family, whom so many of you know. As one of his former club secretaries and committee members I volunteered to write a piece about Nick, and have asked some of his old friends from his committees for their memories. Nick was a driving force behind the club and during his time on the committee and later chairman he helped to significantly increase membership, funds and the number of events run. He was a larger than life character, full of laughter and tales ranging from his horses escaping to the golf course, sheep on the Warlingham railway line, run away vehicles, the great yellow tractor debate, chickens, club keys not to be confused with hand bags keys, etc. Who can forget his Elvis impersonations singing at the Club's Farmers Dinner, or his laugh or screech to emphasise a point in his story telling, his snoring at Area 10 meetings and his joke telling - I still repeat the "that's nice" joke today he told us during one committee meeting. Whilst out hacking he took great joy in pulling up in his distinct green jeep to sound his hunting horn and for a chat around the Surrey lanes; that is if your horse stood after hearing the horn blown. “Lyn Palmer (a former WDHC Chairman and committee member) writes:- I remember after one particularly long and fairly arduous committee meeting I asked Nick if he would be going to the Pub. He looked at me in mock horror, rolled his eyes and said ‘Does a bear s***t in the woods, let’s get out of here and last one in has to buy the drinks’! Mike Potts, Nick’s Former Vice Chairman writes ”He brought the Club forward and I was pleased to be asked by him to stand as Vice-Chairman. 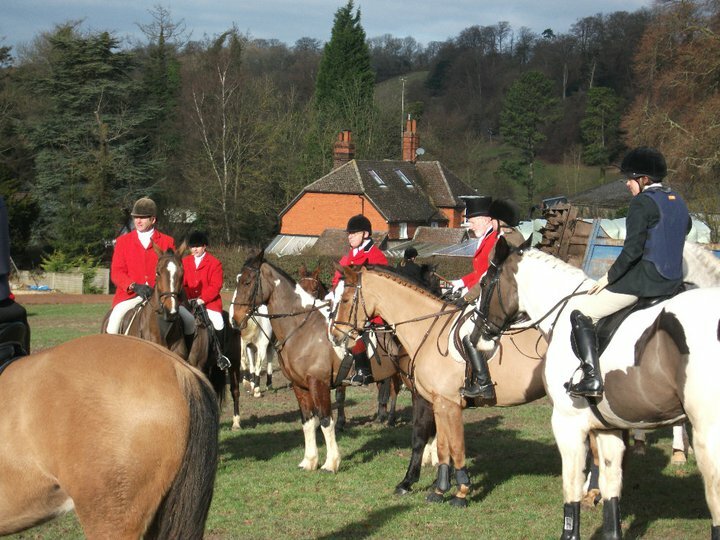 A special highlight was the Beginners Mock Hunt of January 2001 at Warren Barn when there were 145 in the Field with the Cap totalling £2,150! 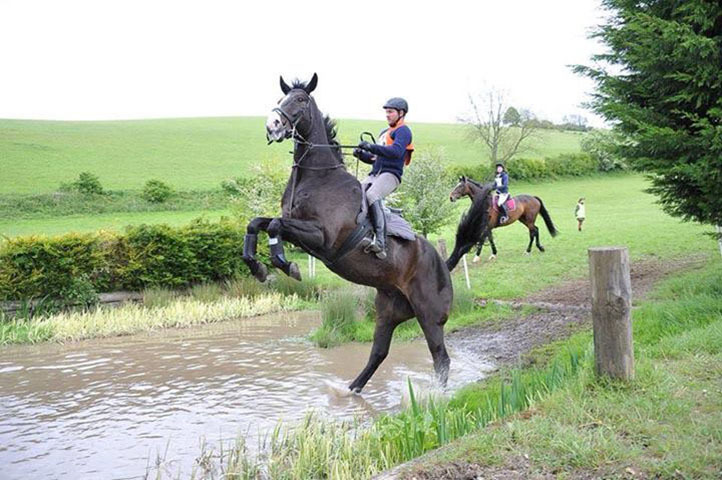 That bought a few jumps”. I think Nick would not wish us to mourn his passing but take joy in remembering the laughs, the support, help, advice, time and fun he so readily shared but what he would probably would like most of all is for us all to raise a glass, hip flask or stirrup cup and give a toast to Nick and those shared memories. We have a much admired set of bridle paths in our area. Please remember to respect the rights of others in the countryside, particularly walkers on footpaths. Horses are not allowed on footpaths, and if you see the mess we make of the bridle paths sometimes, you'll understand the reason.